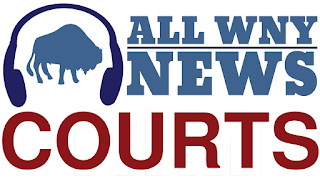 BUFFALO, N.Y. -- U.S. Attorney James P. Kennedy, Jr. announced today that Duane Loyd, 47, of Buffalo, NY, pleaded guilty before U.S. District Judge Richard J. Arcara to bank robbery and brandishing a firearm. The charges carry a mandatory minimum penalty of seven years, in prison, a maximum penalty of life, and a $250,000 fine. Assistant U.S. Attorney Michael P. Felicetta, who is handling the case, stated that Loyd robbed the Key Bank located at 4248 Delaware Avenue in the Town of Tonawanda on December 7, 2015. In a rental car, the defendant drove his son Brandon, who was 19-years-old at the time, to the bank and provided him with a respirator mask and a firearm to commit the crime. Brandon Loyd pointed the firearm at the tellers and several bank customers before fleeing with money in his father’s waiting vehicle. Officers from the City of Tonawanda and the Town of Tonawanda Police Departments pursued the fleeing vehicle and tackled the defendant and his son after they crashed the rental car. Officers recovered the loaded firearm, a 9mm pistol, and the money stolen from the bank. Following their arrest, Town of Tonawanda police officers and FBI and agents uncovered 16 additional robberies at local stores that the father and son committed prior to the bank robbery. In each of the robberies, the defendant drove the getaway car while his son entered the store and robbed the clerks of cash. Surveillance images assisted law enforcement with solving the previous robberies. A total of approximately $4,500 was stolen during the course of the 16 robberies which occurred between November 22, 2015, and December 7, 2015, prior to the Key Bank robbery. In eight of those robberies, Brandon Loyd displayed a firearm to intimidate the clerk into handing over the cash. Duane Loyd also admitted his role in the 16 robberies. Brandon Loyd was previously convicted and is scheduled to be sentenced on November 8, 2018, at 12:30 p.m. before Judge Arcara. Duane Loyd’s plea is the result of an investigation by Federal Bureau of Investigation, Safe Streets Task Force, under the direction of Special Agent-in-Charge Gary Loeffert; the Town of Tonawanda Police Department, under the direction of Jerome C. Uschold, III; the City of Tonawanda Police Department, under the direction of Chief William Strassburg; the Town of Amherst Police Department, under the direction of Chief John Askey; the Buffalo Police Department, under the direction of Commissioner Byron Lockwood; the Village of Kenmore Police Department, under the direction of Chief Peter Breitnauer; the Town of West Seneca Police Department, under the direction of Chief Daniel Denz; the City of Lackawanna Police Department, under the direction of Chief James Michel; the Town of Cheektowaga Police Department, under the direction of Chief David Zack; and the Erie County Crime Analysis Center. Duane Loyd is scheduled to be sentenced on January 25, 2019, at 12:30 p.m. before Judge Arcara.